Metal Gear Solid 4 delayed until 2008? Arguably the game that the PlayStation was made for and certainly the most eagerly-awaited game for the PS3, Metal Gear Solid 4: Guns of the Patriots has apparently had it's release date pushed back to next year. Reports allegedly from major US games retailer EB Games have now indicated a March 2008 release. 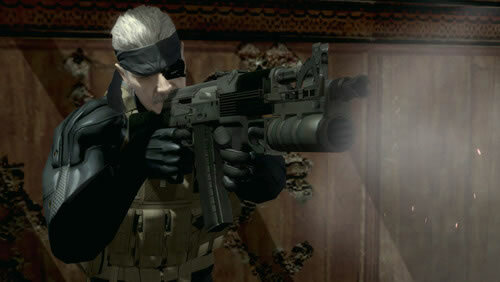 That claim comes from a posting on insider gaming news source Gameswank suggesting that supporters of Solid Snake who signed on for updates on the progress of Konami's top title recently received an email notifying them that the release date had slipped from September 2007 to March 2008. NOTE: The product release date is the best estimate as to when the product will become available. These dates are subject to change at anytime. EBGames.com is in constant communication with product vendors to provide you with the most accurate release dates possible. When we checked with EBGames' GameStop subsidiary today, its website does indeed list MGS4's release date as 1 March 2008. Of course, this isn't 100 per cent confirmed, but if true it's another kick in the face for the dwindling number of die-hard PS3 fans. They currently have very few native, A-list titles available, and each one of those costs an overdraft-inducing nifty (that's 50 quid). We approached Konami for comment, but the company didn't return any of our calls.